Gear up your team, school, club or Troop for the holidays with mini fundraisers that make a BIG ka-ching! Raise extra cash this season to fund trips, uniforms, equipment - you name it! You can even make it a service project and raise funds for your favorite local charity. Gift-Wrapping Booth. Great fundraisers both serve a need AND help raise money! What better way to ask for contributions and donations than in return for holiday gift wrapping services? A little tape and wrapping paper can go a long way in boosting your club or team's cash flow. Parents Night Out. All parents know how difficult it can be to find time to shop during the holidays. This mini holiday fundraising idea is super simple - gather your older and more capable team, club or Troop members to babysit for two hours one Friday or Saturday night (with a couple adult supervisors). Parents drop off their kids, paying a fee per child and can go off and do their shopping while their kids are entertained and your group rakes in the holiday dough! Poinsettia Sales. 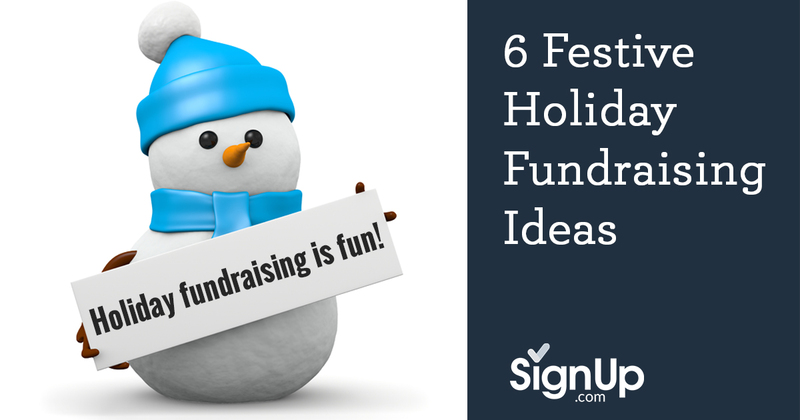 The bright, festive flower of the holiday season makes for a great mini fundraiser that helps boost end of year budgets. Connect with a Poinsettia Fundraising company online, purchase and then sell the flowers at a profit to the families in your school, group or community. An easy way to bring in $500 to $2,000 during the holidays. Holiday Decorating/Window Painting. Do the kids and teens in your club or Scout Troop have what it takes to decorate for the holidays? Many families and local businesses will pay for help, and that's where this mini fundraiser rocks! From stringing lights, to painting windows, to hanging bows and installing yard decorations, a holiday decorating fundraiser is a great way to score some extra cash. Holiday Photo Booth. Really get in the spirit with a five-minute photo booth! Rent a Santa suit for a parent volunteer to sport, hang a quick decorative backdrop and set up a digital camera – email photos for a fixed cash fee and help make a family's day!